Excellent product for towing two boats on a normal single trailer. It works in a similar manor to the Lazy bones spar carrier, but is wider offering giving more support and contains four parts, so you place the supports on the boat, place the spars on top, followed by the remaining supports and then the second boat. - Allows two standard Lasers to be transported on a normal trailer. - Will hold 8 spars in between the boats. 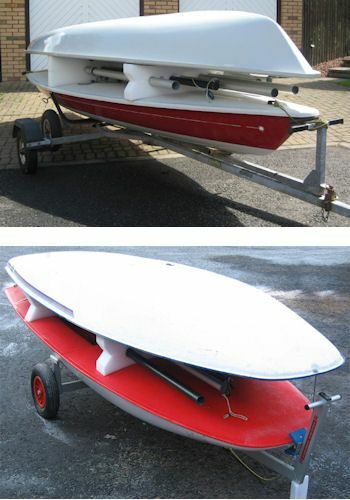 - Made from foam, giving the best protection to your boats.